BMS has dedicated it's time and resources to supplying our customers with the highest quality ATV's, Dune Buggies, Go Carts, scooters and Dirt Bikes available on the Chinese market today. Our vehicles are stored in house at our 40,000 square foot warehouse conveniently located in The City of Industry, California. Our business strategy is based on one very simple point, High Quality. High Quality products, High Quality customer service and High Quality parts support. We are committed to providing our customers with the best overall experience in every aspect. Whether that is in sales, after sale customer support or customer service, we are confident that your experience with us will leave you feeling comfortable in knowing you found a great partner in BMS. The leader in new innovation designs in the affordable market. Since 2006 Ice Bear ATV has quiclky become known for high quality affordable products and a leader in new popular designes that many other suppliers follow their example. 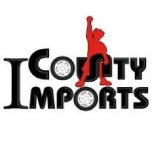 Countyimports.com is proud to offer and support this brand with leading support from our same state supplier! CPSC APPROVED and ready for the Holidays! The Coolster brand is known to have some of the best looking and most user friendly products on the makret today! All the Kids ATV's come with Government certification, EPA, DOT, CARB and in some really neat camo colors! Be sure to get yours today becuase these are the 2009 hot tickets! SSR is committed to providing our customers with the highest quality products, at the most affordable competitive prices. Out vision is to bring the fun of powersports to every family at the price people can afford. Not just with good price, we are also committed to provide our customers with the most reliable after sale service and customer care. All our products pass our strict quality standards. 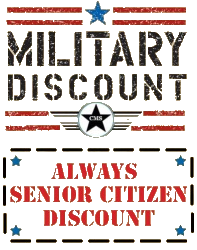 We understand the importance of our dealers. 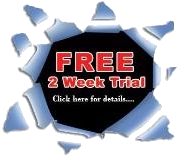 All our dealers have received the best supports and training from us. Our unique CRM system and Dealers Program make sure our dealers' profitability and ensure JCL's end customers will receive the best after sales service as they deserve. A LITTLE ABOUT ROKETA BRAND POWERSPORTS - Our mission is to provide you with great products and exceptional service before, during and after the sale. We test every product we sell and only sell products that pass our rigorous testing. With that in mind it is our intention to bring you exciting products that, with minimal care, will last a lifetime and bring you and your loved ones much enjoyment. Finding the balance between exceptional quality, reliability & performance at an affordable price is hard to do. It is our intention to bring you the best products, along with the best service at the best prices available.